After a successful career in theatre, brand, marketing and design, Mia Sabel left the City and trained to become a saddler. A Queen Elizabeth Scholarship Trust (QEST) Scholarship enabled her to expand on this training and augment her range of skills, products and services, and a Walpole Crafted Mentorship programme helped establish her watch strap offering. Mia's services includes bespoke leather design, bespoke watch straps, consultancy, restoration, branded corporate products, accessories and training. Inspired by English saddlery techniques, materials and aesthetics, Mia hand cuts and prepares vegetable tanned bridle leather and hand-stitches with hand-waxed linen thread and a double-handed saddler's stitch for both strength and appearance. Exposed leather raw edges are sealed by hand-burnishing with a cow bone and elbow grease. Mia can also wet-form leather. Whether off-the-shelf, personalised, customised or bespoke, Mia is passionate about creating works of excellence that will last a lifetime. Her work has been exhibited at Fortnum & Mason, Goodwood Festival of Speed and at Buckingham Palace amongst others. Bespoke, fitted hand-stitched watch straps, made-to-measure belts and dog collars, leather accessories, consultancy, small batch production, corporate bespoke, restoration and training. 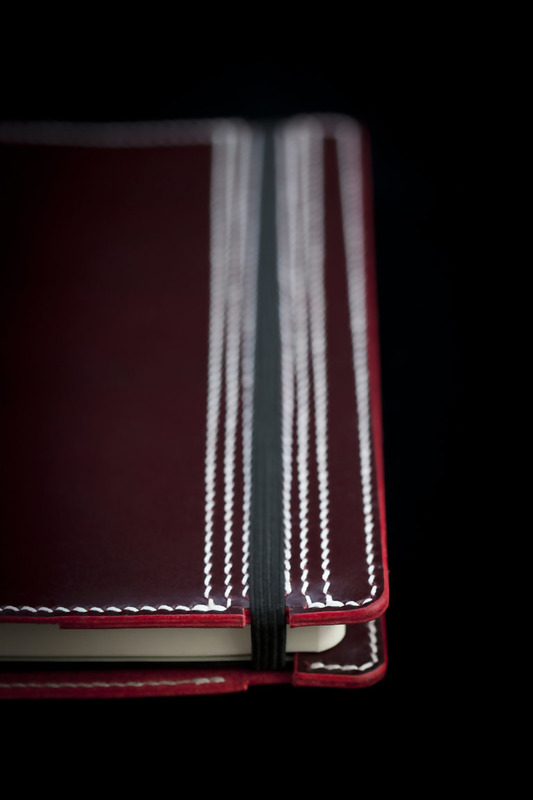 Hand-stitched leather Moleskine slip case in cricket ball leather. Decorative hand-stitching replicates the 6 rows of stitching on a cricket ball. 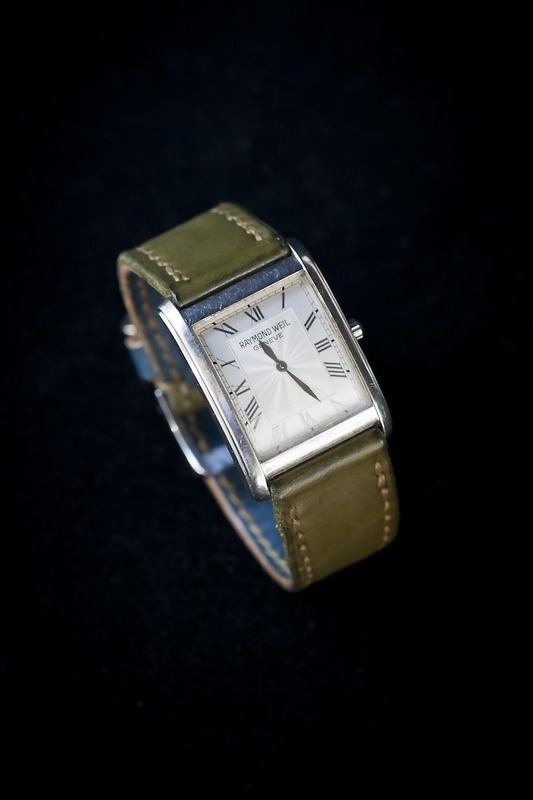 Hand-stitched watch strap in vintage green bridle, lined in indigo bridle with caramel linen stitching for a Raymond Weil watch.